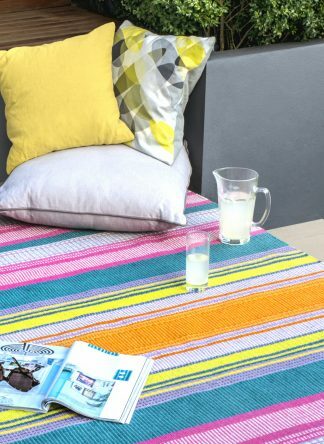 Bring a joyful burst of colour to your home with this ethically produced rug made from recycled plastic bottles. 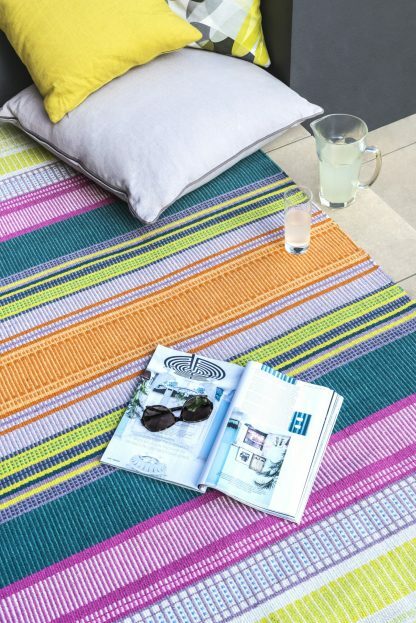 Woven by hand in India from recycled PET yarn, the rug is completely washable and can be used outdoors and indoors, perfect for terraces, balconies and garden rooms too. Perfect for bringing a burst of colour to your living space this popular size is ideal for sitting rooms and bedrooms. 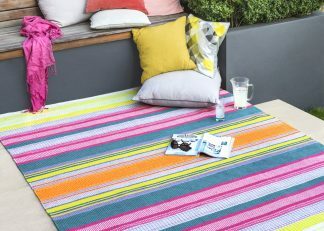 As these rugs are waterproof and mould resistant, you can also use it to brighten up your garden decking to roof terrace. 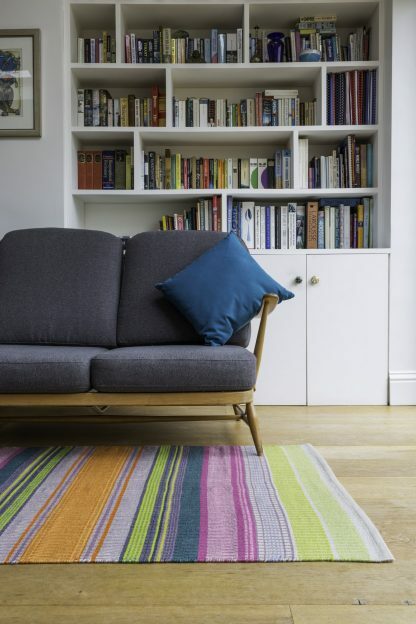 Materials: PET Yarn-Made 100% from recycled bottles. 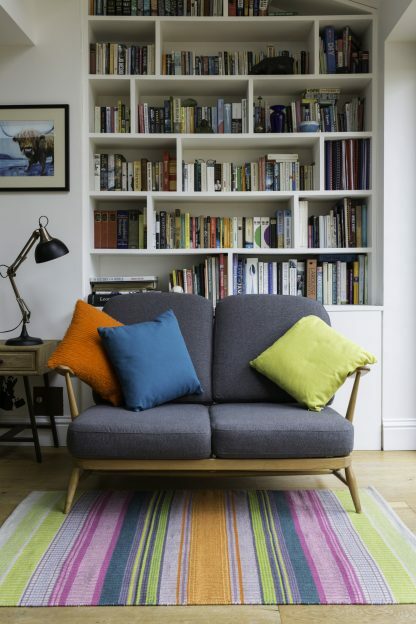 This bright and uplifting design brings a mouthwatering burst of colour to any living space. Handwoven by skilled weavers overseas, the yarn used for this rug is made from recycled plastic bottles. 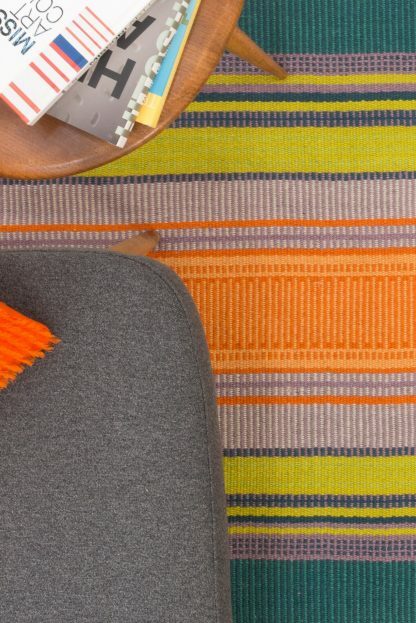 With the look an feel of wool, it’s perfect for modern living and as it’s waterproof, it can be used indoors and outdoors, to brighten up your garden, roof terrace or balcony. The workshops where these rugs are hand crafted all comply with the stringent working standards of the Ethical Trading Initiative (ETI). The workers are free from exploitation and discrimination and enjoy conditions of freedom, security and equality. 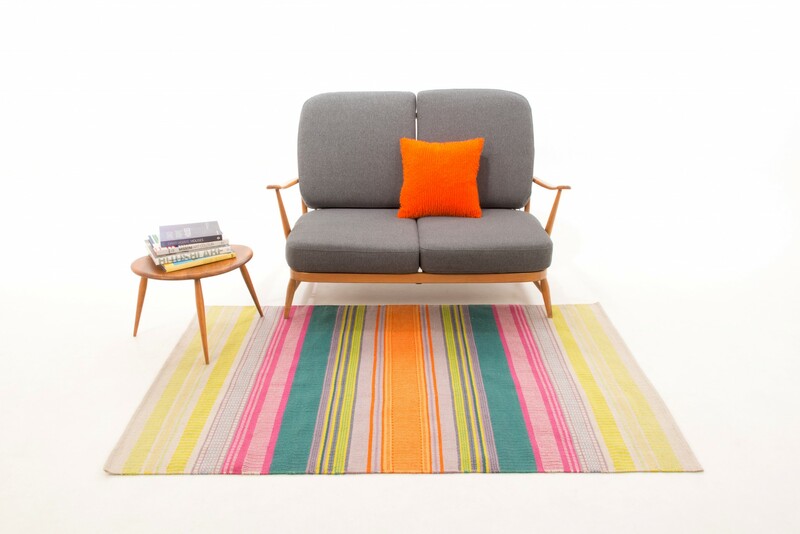 Please get in touch for more information if you would like delivery overseas. 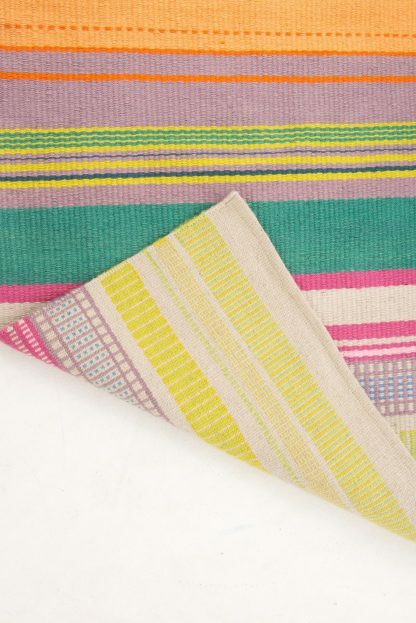 If for any reason you are not 100% satisfied with your purchase, please get in touch using the contact page and I will personally reply at the earliest opportunity and do my very upmost to resolve any issues.